We are Property Maintenance Connoisseurs that offers Demolition, Landscape Design, Removal and Construction. We are fully insured, licensed and with awesome references. We are residential, commercial and industrial qualified and we are equipped for interior or exterior projects. Barten Bros. 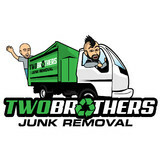 Junk & Clean Up is a family-owned and operated, local, specialized demolition, trash and junk removal business based out of Point Pleasant, New Jersey. In addition to being a family-owned and operated business, company president Andrew Barten is also a Marine Corps combat veteran and active member of the local community. Got Trash? 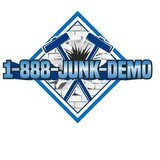 is a family owned and operated junk removal and dumpster truck company in New Jersey. We have been in the garbage and trash removal business for many years and love the business. In fact, it is in our blood! Our parents and grandparents removed debris and garbage in the old country of Europe so we have been haulers for many generations. We have many dumpster trucks servicing all of NJ. Our employees are hand-picked debris and garbage removal professionals and have been with us for many years. Our trucks are all state of the art American built vehicles with GPS systems helping us get to you same day (or as quick as you need us) so we can remove and haul away your garage, junk and trash. Cleanouts, downsizing and junk removal to donation hauling in Nassau County and Suffolk County on Long Island. Queens movers. Queens Best Movers New York Moving located in 16938 Pidgeon Meadow Road, Flushing, NY 11358, is bonded, reliable and experienced moving company, providing the highest level of relocation services for our customers of the entire New York City metropolitan area since 1993. We have professionally trained movers, packers, drivers to make your move easy and stress-free. B&M Cleanup Services Inc. is a full-service locally owned and operated demolition and waste removal company. Armed with combined experience of over 20 years, Our demolition and junk cleanup service is the name to trust in the industry. Fully licensed and insured, our professional staffs will lift, load, and dispose your waste. We always say: “One call cleans it all!” - (718) 418-3366 B&M Cleanup Services proudly serve all five boroughs of New York City: Manhattan, Brooklyn, Queens, Bronx, and Staten Island, as well as Long island. We never say no to waste, we simply love it. Recycling as much as possible to better help the environment and society is a golden rule in our book. Brooklyn movers. Nice New York Moving and Storage is Brooklyn, New York based locally operated relocation company. We do local and long distance moving and storage since 1993. 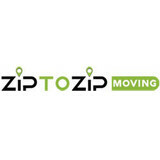 Our experienced staff is ready to provide the highest level of moving within the New York City area and the entire US. 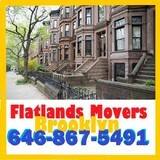 Local and long distance moving company, storage units, corporate relocation, trucking, warehousing in Brooklyn, New York. There are full-service junk removal companies in Copiague, NY that help with everything from clutter and hoarding cleanups to appliance recycling to donating unwanted items. Keep in mind that you may need professional help removing certain items from your home, particularly if they’re toxic or unstable. Here are some related professionals and vendors to complement the work of junk removal: Tree Services, Environmental Services & Restoration, General Contractors, Home Builders, Landscape Contractors. Find rubbish removal professionals on Houzz. Narrow your search by city or zip code for a list of Copiague, NY rubbish removal services. Get contact information so you can ask about rates, and read customer reviews to find the best rubbish and trash removal service for your home improvement project.